Infused with exfoliating salicylic acid, this purifying oil not only battles (and prevents) blackheads and breakouts, but also brightens and reduces post-acne discolouration with the help of hexylresorcinol and liquorice. It also contains antibacterial tea tree and black cumin seed oil to combat spot-causing bacteria, while neroli and chamomile combine to calm any redness. And, to keep your skin clear and contented, the inclusion of cucumber and milk thistle helps to maintain moisture levels so your face feels 'plump' and dewy (never stripped). Believe it or not, there’s such a thing as an 'exfoliating oil' for congested complexions (hurrah!). This hardworking U.F.O. (Ultra-Clarifying Face Oil) is the ultimate treatment for problem-prone skin types. It keeps blemishes at bay with the help of salicylic acid - a chemical exfoliator that penetrates pores to eliminate spot-causing dirt and bacteria. From global beauty phenomenon Sunday Riley, a super-charged skin care range boasting unparalleled 'science-meets-botanicals' formulas that leave bloggers, experts and product junkies in raptures, this 'otherworldly' offering is so potent you only need to use it a few times a week to quickly see a dramatic improvement in skin's texture, tone and clarity. I've used this for about a year now and I've never had better skin. I use it as a night oil as I have oily skin. I have suffered from acne my whole life and I swear this is a miracle treatment. Its gotten rid of my red scarring and prevents any further acne appearing. I use a combination of other Sunday Riley products so I can't say it is this alone that has worked for me the whole range is AMAZING. I could not live without this little bottle. However, you must follow the directions and use it properly for it to actually work. U.F.O. definitely proved itself to be a great oil. I've been using it for about a week already. I was very skeptical about using oil, as my skin is oily and prone to breakouts. But after using U.F.O. for a week my pores are visibly smaller, my skin looks brighter and more even, my redness has reduced. My pimples haven't disappeared, but I breakout less and pimples aren't as big as they used to be. A definite must have! I love everything about it - ingredients are well selected, texture is good for evening routine and the result is amazing! I was pretty sceptical about using this product, despite having seen and read so many reviews on this product. Many said it worked for them however there were others which said it caused more breakouts for them. However, desperately looking for something to try for my acne prone skin, I purchased the 15 ml bottle to test it out. I purchased the product in January and had used this oil everyday. I’ve noticed a major transformation in my skin, pores and breakouts and can say this is a true miracle product which works. I finished the 15 ml bottle within a month of purchasing and needless to say I’ve purchased it again, this time the 30 ml bottle. It’s definitely more on the expensive side however it’s worth every drop. I think I found my soulmate. I want to spend the rest of my life with it. I have oily skin that's prone to acne and redness. This babe fixed me in literally one night - that’s how you know when it’s true love, ladies. The very next morning after my first use, all my pimples were gently dried out, skin was soothed and smooth, and my pores we visibly smaller. It’s probably some kind of dark magic but I don’t even mind. Love you, my sweet sweet U.F.O. Despite the bad reviews left on the comment section, I decided to give this product a go! I have suffered from acne for as long as I can remember, I’ve used literally every product under the sun. Since using this product, it has definitely given me a clearer complexion and I haven’t broken out as much as normally do. I definitely see an overall improvement in my skin ( my acne scars/marks have definitely faded since using the product). I hate reviews, which are over the top. No skin concern is fixed by one product over night like a miracle! Those reviews just get us excited and after buying we are disappointed and stop using. So let's keep it real. This oil is really good, it's drying out my pimples without drying out the rest of my skin. It takes down redness. Don't over do it or you'll purge. Give Ufo a good month to do its work and you'll start to see results. Don't use this after a silicone moisturizer! It won't penetrate! I usi it with DE Protini and and I like the combo. This and the DE Fromboose Serum really made a difference with my hormonal ance. I purchased this product in May after much deliberation due to the price, but I had seen so many positive reviews and had got to a point with my skin where I had had enough that I went for it and splurged. I suffer from cystic acne, large, red and sore spots under the skin. When I got the item I read that you was supposed to ‘purge’ but this did not really happen for me, I got a few little white heads but that was about it. I noticed a difference with using this product within a week! I couldn’t believe how much the redness and size had reduced in such a small amount of time. After regular use (I would use this in the evening in my routine) I got to the point where I was happy to go out without foundation on, a huge deal for me! People comment on the smell but ton be honest I don’t mind it! You don’t smell it after a while and I’m sure no one else would notice. I got the 30ml bottle and I would say it lasted me around 4-5 months. Towards the end of the bottle I thought I would be clever and stop using it,big mistake! The cysts came back within a month and it felt like they were worse than ever, they were truly getting me down. I tried loads of other products because of the price of this but nothing compared. I purchased another bottle of this a few weeks ago and I have seen a reduction yet again! This is truly a wonder product and I would 100% give this a go if you can relate to some of my skin complaints. For some time it seemed to help but as I was using it twice a week my pores became so clogged. I stopped using it and they started to clear up. I am so happy that I bought this. I use it every night before I go to sleep and it's so nice to finally find something that helps to stop my breakouts. It feels so nice on the skin. If you have problem skin then buy this. Since I was 13( now I’m 20) I had really problematic skin, hormonal acne, etc. It was okay, not as bad as other people have, but I always struggled from it and the texture that it caused. I first heard about this oil from Kathleen Lights, and then a couple of months later from Samantha Ravndahl, who also had really bad skin, and she cleared it up. She said it was a miracle for her. I was very sceptical. Then after a while, I purchased it, first in March, I just to try it out. Now it is my 5th (30ml) bottle, and I would never in my life skip this for a day. This made my skin beautiful. It cleared up, and I’m so close to that point, that soon I will not need any foundation. Can you believe that? I will buy this forever, for the rest of my life. I first heard about this through this product by watching the absolutely stunning Kaushal. I have literally bought pretty much every product that comes out of that women’s mouth lol. Sunday Riley UFO ultra clarifying face oil being one of them and OMG does it work. It not only clears up emerging pimples that are still underneath the skin but then it also zaps those that have already flourished and done their thang! It’s an acquired scent but I actually quite like it and a little goes a long way so definitely worth the investment. Overall love this product! I bought this on a whim as I was on a lookout for an oil to treat my hormonal acne. Since then, I have been loving it for keeping my zits at bay. It's really nourishing and what I enjoy it most is how it doesn't dry out my acne to the point where it becomes crusty and makeup doesn't sit well over it. I find the smell absolutely divine, albeit a bit herbaceous but it feels really luxurious. Absorbs quickly and overall - my fave Sunday Riley product to date! I was reading these reviews and wasn't 100% sold on it so I got the 15ml size to trial it, and I'm so glad I did! I suffer from congestion and the random breakout here and there...I hate using drying serums and products which normally are recommended for my skin type. This oil has helped so much with my congestion, dries so fast and hydrates my skin! With all the hype around it I was so excited to try it out and really hoped to get some help with my break outs. I have hormonal acne. I honestly can't see any difference for the better or the worse after using the oil on a daily basis for 3 months. My breakouts are not getting less and I don't see any quicker healing or quicker disappearing of the spots. I won't repurchase after I used it up as it is much to pricey for barely having any effect on my skin. So it's taken me using the whole bottle for me to write this review but I have re purchased so I think I must have enjoyed it. It didn't clear things up over night but it definitely does help your acne over time. I guess anyone will skin issues knows how hard it is to pin point what works and what doesn't. I think this is a good product and I will continue to use it but I still need to get to the bottom of while I'm having breakouts in the first place. I have problematic skin, occasional zits that scar for a couple of weeks. Always on my cheeks. I cleanse, I exfoliate, I tone, I serum. I don't even eat bread, or drink milk. And I haven't eaten chocolate in weeks :/ This oil didn't do much. I love it, it smells so good, I love the green vibe, it gives a nice glow and feels nice, but I shouldn't buy it again. It just doesn't do enough for me. I’ve decided to try it out because of all that hype on Instagram. It actually made me break out even more. Wouldn’t recommend it. This oil is amazing. I apply in the evening and in the morning my skin is calm, breakouts are reduced in size and are not inflamed. I have been using this oil for less then a month but my skin already looks so much better. I am definitely going to buy the full sized bottle. Will definitely repurchase it again. It works so well on my skin: it is definitely my secret to defeating acne scars. So it has very nice results. You need to use this oil for 3 days and you can see the first result. I recommend it! This oil is amazing. Smells amazing. Does what it says. It removed all the bumps I had on my face that nothing else seemed to do so. It is nourishing as well, leaves you feeling like you just left from the spa. I use it night and day, mix it with my gel moisturiser if I don't want it to look too shiny on my bare face and I like to drench myself in it at night. The 15 ml bottle lasted me 2 months and before it is completely gone I already bought a backup. I loooove this. Love this product. I use it each evening and have definitely seen an improvement in my skin. I was unsure about buying this oil for so long after reading horrific reviews or ones that sounded too good to be true. For people unsure, the smaller bottle is handy as less money loss if you hate it. I wouldn't say I suffer from acne I'm just very prone to breakouts on my cheeks, chin and shoulders. I have very oily skin and have blackheads around my nose and chin. I was worried and oil would make me even shinier but I use this every other day and my skin has never looked better I now use a lighter coverage foundation even for nights out, I think the people who are suffering from breakouts after using this are using too much too quick maybe. The bottle suggests three times a week so I alternate it with my other night creams. It is quite a heavy oil and the smell takes a while to get used to so I use it at night I find there is residue in the morning on my skin so I am a little bit shiny when I wake up even when using less it doesn’t fully sink in but this isn’t an issue as I cleanse in the morning too. I would recommend this oil for sure if you suffer from breakouts, use a small amount every other day to avoid purging and you should be okay. I gave 4stars because of the smell of the oil and the colour is bright green but it does what it says it should so maybe I'm just being fussy. Even though it smells a bit funky, it does work well. Follow the instructions and start off slowly so you don't break out more and you might have yourself a new holy grail product. I have very oily, acne-prone skin and this has definitely helped to keep breakouts at bay as I immediately notice the difference when I stop using it. I tried this with great expectation as I have acne rosacea on my chin, tried it and found it really greasy and sticky, it was overloading my congested skin, I could see no improvement of the pimples, actually quite an aggravation of rosacea red patches, but for me definitely. I knew I had to have it the second it came out and so excited to find out Cult Beauty delivered to New Zealand. Once I got this product I was a little disappointed if I'm honest, I think I expected an overnight miracle but this was more of a slow and subtle change for me. I'm glad I took a before and after photo because wow! Now I see its true results. My texture has evened out, redness reduced and breakouts are now only hormonal. My skin looks hydrated and glows which is amazing because all my harsh acne treatments used to leave my breakouts dry and red. I wish I could attach the photos for you because it's truly amazing. It did take 6 months but I'm so happy and wouldn't live without my UFO. I love the product and, despite the initial purging phase, think it has done wonders for my skin. However, the pipette applicator is awful; it drops out so much, meaning that a lot of product is wasted and trying to apply it in the hope of it not going everywhere is highly unlikely. For the price, I'm not happy that the applicator, which I'm sure could be easily fixed, means so much of the product ends up wasted. Does nothing special for my skin. Unpleasant smell too. My Sisley Rose oil may be more expensive, but so much more worth it. Been using this for over a month and I can safely say it has made a noticeable difference to my overall complexion. I have acne prone combination skin and have suffered from acne for a really long time. This product instantly became a cult favourite. My spots have reduced and become less inflamed overnight. if I had any complaint it would be that because I have slightly oily skin and this product is an oil, I can not use it in the morning. but it still works like a gem. Just ordered my second bottle. I have almost finished my second bottle and I love this oil. My skin tone has evened out to the point where I no longer need to wear foundation EVERY day. It sinks into skin quickly and controls breakouts (though I do still get the occasional pimple). The smell is not great though not as bad as mentioned in some of the reviews. I am using UFO daily and Luna before bed. Having used the Juno and Flora oils (all hail Juno), I was so excited by an oil offering hydrating properties combined with anti acne and blemish ingredients (usually drying). But over the year i used it (the bottle never seems to end which is a plus), I never saw any difference. It has a medicinal smell which makes you believe something is working, but sadly not much for me. A big issue is that is didn't hold well on the skin, and by the time you lie your head on a pillow, the pillowcase has a better chance at smaller pores. I used the Sunday Riley lactic acid mask (forgotten the name) which is one of my favourite products ever, hoping the exfoliation would help the skin absorb the oil better, but sadly no improvement. Unbelievable. My mouse has been hovering longingly over the 'Add To Bag' button for UFO for months now, but when CB recently began stocking the 15ml size, I knew I had to finally click. 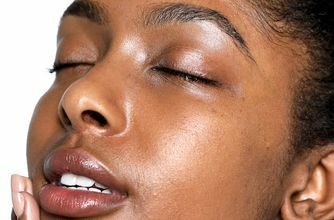 Having had crystal clear skin as a teenager, I was ill-equipped to deal with acne when it took up residence on my chin at the grand old age of 21. Six years later, and I was still struggling with never ending pimples. That is, until this beauty arrived (quickly and painlessly, I might add, as is the norm with Cult Beauty!) My skin was severely congested when UFO beamed down into my postbox, mainly due to a flurry of weird skincare experiments I'd performed on my face in the week prior. I was suffering with volcanic pimples, and craters that would've made the moon wince. Needless to say, I was ready to bathe my face in this stuff. The morning after applying, I ran to the mirror to inspect my chin. Not much change, but certainly no new spots had formed, which was a triumph in itself. I was a little disheartened, as all the reviews I'd read basically guaranteed I would be a Victoria's Secret model by the next morning. However, I added a few drops to my foundation, and went about my day. During the day, I duly noted that no new spots were forming under my makeup, which I can hand on heart say has NEVER happened to Mr before! Over the next few days, the situation improved dramatically, making me completely eat humble pie on my first impressions. This stuff is AMAZING!!!! Its a week tomorrow since I've been using this oil, and today, for the first time in almost ten years, I left the house without makeup on. I've had no new pimples, my awful acne scarring has lightened and smoothed to the point it's barely visible, pores have shrunk to microscopic size, overall skin tone and texture has improved... It is truly out of this world. Now the specifics: I cleanse my face in the morning with a makeup wipe, and then immediately tone with witch hazel, before moisturizing with Kiehl's Ultra Facial Cream. I then add three drops of UFO to my foundation, and blast off for the day! At night, I double cleanse with a makeup wipe, and then Cetaphil Gentle Face Wash in the shower. Witch hazel toner again, and then use about 5-7 drops of UFO all over my face. The smell is a little funky, as people have mentioned (oil of oregano anyone?! ), but nothing overpowering, and certainly not enough to put you off once you see the results. I wish I could post pictures of my before and afters, as I don't really think words do this little miracle oil justice. The difference is truly unbelievable. If, like me, you were deliberating over the price - don't. The amount you'll save on crap skincare that doesn't deliver, and daily makeup that doubles your woes is enough to make this worth it. I've used this twice daily, and barely made a dent in the bottle. What an absolute winner. I've ordered the Sunday Riley starter kit, and will absolutely be purchasing about a thousand full sized UFO bottles once this one finishes!!! Thank you, thank you, THANK YOU, CB and Sunday Riley!!!!! Please never stop carrying UFO - it is the best oil I've ever used. So incredible for the clarity, softness, brightness of skin. I will use this forever. It's a nice oil, really makes the skin feel soft and glowy but doesn't make the skin greasy. I apply only 2-3 drops on my palms, make it warm and then pat on the problematic areas on my face. I never drop the oil directly onto my face. You only need 2-3 drops. It did a really good job with my blemishes and some dark spots/scarring I had. I bought the big bottle and it lasted about a year (but sometimes I forget to use it :p) also it has really nice fresh scent! I love this oil, I use it before my all-purpose oil and moisturiser to really make sure to lock it in. It hydrates while also smoothing my face, making old scars disappear and discouraging new pimples from popping up. It also smells amazing. Will repurchase! It caused me to breakout rather than helping with breakouts. This happened MULTIPLE times. I absolutely don't recommend this. I tried out U.F.O. on a whim, and it was like discovering the Holy Grail! Although it hasn't made my pores any smaller, it has cleared my skin and keeps it super hydrated especially when sleeping with the aircon on at night! If I do breakout (usually during my period), this oil helps clear the pimples away within a day or two. Amazing, can't see myself living without it for a while! Great product! I know that some have commented on the smell, but I love it. I have had acne for quite a while and this oil has been helping it get better over the last months. It has not been this good since I hit puberty. It started helping after a few weeks of using it. I have very sensitive and dry skin, but this does not irritate it. I use it every day but started by only one a week. Definitely would recommend starting slowly. This is by far the worst product I’ve purchased. The first night I used this, I woke to a swollen face and neck. I had an allergic reaction to this product. I was hoping this oil would help with my acne, but after using it for a few months, I must say it has done absolutely nothing for my breakouts. It hasn't made existing acne go away faster, neither has it prevented new ones from forming. I won't go as far as to say it's broken me out (I think other products were at fault for that) but this definitely did not do for me what it promised it would. Giving this 2 stars only because the oil sinks in really quickly and I quite like the smell of it, but I will not repurchase. This stuff is amazing. I use this when I feel a breakout coming along and to lighten some of the acne scars that I have. I don't get many blemishes but when I use the consistently, I never get any. It's very lightweight and absorbs quickly, I either apply it directly to the skin at night, or mix it into my foundation during the day. I have searched for this product far and wide since it is no longer available in Canada, and I'm so glad I found it! Definitely worth a try. I love this oil. I've recently developed acne at the age of 30 (joy!) but this has really helped to take down the inflammation and has reduced the amount of spots developing. By no means is my skin perfect now but this has definitely helped it improve greatly. I have mild blemish/acne prone skin and this oil within the first time of using it, really brighten the appearance of my skin. It looks healthy and rejuvenated which I have never experienced before so instantly with other products. I also use it on my chest area and it really reduces the blemishes over night. The bottle is bigger than I thought and i reckon this could last 6/12 months. Only downside is it smells a bit because of all the spices used in the ingredients. I have all of the Sunday Riley oils but this one is so far my favourite (other than the Luna). This UFO is so quick drying and fast observing, also it helps a lot with my break out skin. Definitely recommend this to everyone. It works on my pimples. Read a ton of negative reviews on this product but still decided to give it a go, within 3 days of use I could already see a difference. Since using this product I have not broken out ONCE! Not even once! This oil is magic, the smell is absolutely divine, I think it's black cumin or something. Didn't work for me as expected. I purchased because it sounded like it would really benefit my combo, oily tzone, spot prone skin, I was excited to try it and the reviews are amazing. I use the whole SR range and love Luna, I ran out of that so bought this. It smells very similar to luna and I like it, and I like the green colour of the oil although it applies clear. After applying to my freshly double cleansed face I was disappointed it never sunk in even after hours, and felt extremely oily, in the morning it still hadn’t sunk in. I couldn’t use it under tidal before make up. It sadly made no difference to healing existing spots or spot marks, or prevented new ones. Just rubbing bio-oil on existing spots heals them by the morning for me so will be sticking to doing that even though I would much of preferred this to of worked as I love the natural ingredients, hopefully SR can bring out more products for breakouts for the people who haven’t got on with this. I still used it up and enjoyed it as no SR products are a waste of money. 2nd time I am purchasing this oil. Love to use it after I get extractions at my cosmeticians, because it reduces the redness within 10 min after applying. I also have far less breakouts ever since I've been using this. Would recommend not to apply too many drops, as it can be a little greasy when overdoing it. I have a combo skin with an oily t-zone which tends to become rather dry during winter months. My main concern is, and always had been, blackheads. And as we know, salicylic acid is the one which is meant to dissolve the build-up sort and sebum, so this oil was a no-brainer. And it is lush. I love everything about it, even the funny smell which was off putting at first. But after some time, I got so used to this somewhat herbal/medical scent, that I've developed a perception that other oils that smell nice, won't be as effective as the ones that stink. Weird, I know. UFO really sinks in well, does not leave my skin shiny or oily and works well under the makeup and all the moisturizers and primers I use. The reason I've given only 4 ☆ is because I still have blackheads. It just seems to me that nothing in this world will ever remove them completely (have even tried regular salicylic acid peels, the blackheads always come back whatever I do) so I've kinda accepted it. Overall this is a lovely oil which would most definitely suit those with oily and combo skins. I'd say this does almost everything it claims to do, some might not find the smell pleasant. It's a bit medicine-y but I really like it! Clears blemish scars and dark spots very well and I feel my skin more radiant as a result. I was having constant breakouts so I finally gave in and ordered this. The price tag had me hesitating before. I followed instructions to avoid the purging but I still ended up with a lot of purging breakouts when I first started. My skin is finally clearing up now though after about 2 months of using it. The scent is quite strong but I don’t find it unpleasant. This stuff works even better than the prescription treatments I’ve tried before, it just needs a little time and patience. I love it. Worth every penny. I think this product helps me with congestion specially around the lower part of my face. It feels nice when applied and it has a smell that I find pleasant but I can understand if someone else finds it horrendous. All in all I think this is not a miracle product but it is definitely a pleasant way of including chemical exfoliation into my routine. I like this product. It is suitable for my combination skin, it helps to reduce blemishes and calms and nourishes my skin. I rarely use a cream after this oil. A little goes a very long way, I use only 1/2-1/3 of the dropper size. The only downsize if this product - even 1/2-1/3 of the dropper size needs at least 10 mins to soak in. It is not a dry oil. I have oily and acne prone skin, and I've been using The ordinary salicylic as my skincare staple. While The ordinary did work, it wasn't effective. It helped my acne to heal quicker, but it couldn't help prevent them from constantly growing back, so I got the Sunday Riley UFO oil in October. And this baby has helped me reduce the pain of my acne, the number of my acne, my whiteheads, blackheads, and I didn't even go through a purge. I LOVE UFO! Will definitely keep purchasing this miracle product. It helps to get rid of pimples overnight, even zits that are about to surface. Due to this product, I am now more confident with my bare skin. I have combination skin prone to small breakouts and this helped to clear my skin up considerably, as well as even the tone out! A little goes a long, long way, and its so important to cleanse beforehand, I find a double cleanse works best before applying the oil other wise my skin can get a bit bunged up. Worth the price. Although I followed the instructions and didn't use this product daily, it made my breakouts even worse, my skin was so irritated. I have never experienced a reaction like this to any product, my skin can usually take anything, it isn't sensitive at all. Wouldn't recommend to anybody. I tried this product for the first time when I started having breakouts for the first time in my life around 4 months ago. I started double cleansing my face every night and then applying this oil and in around 2 months the result started showing. I think I had cystic acne, so probably that's why this product was so good for me. I tried benzoyl peroxide and it didn't do anything. So I first tried putting this all over my face. And the next day I would come out in spots all over my jawline and cheeks I then was told just to put it on my spots which I have a very few of and it made them bigger and more irritated. I really like it. I don't know yet if it helps with my hormonal break outs or my skin texture in general but I like the smell a lot and it doesn't feel oily. I’ve been using UFO every morning for a few months now and it has cleared my skin up so much. I used to have so many blackheads around my nose and a few dotted on the side of my cheeks. The blackheads have now disappeared or they are a tiny pinprick size as my pores seem to be getting smaller. For the first few weeks I would wake up most mornings with a few yellow headed pimples on my chin area and side of the nose which is a problem area for me but I would simply remove them using my pimple popper and they would go. It was just the purge. Would absolutely recommend this. It really helped to reduce further breakouts and clear up my skin. It has a quite good moisturizing effect too. I love Sunday Riley products. I rather appreciate oil texture than its Salicylic acid performance. The oil is absorbed so well and texture is sooo as good as a dream. I love this product by far, prevents new breakouts and healing plus moisturise simultaneously. I’ve got dry but troubled with ance in some parts of my face, so UFO oil is like the solution to all of my concerns. Really great product. I know some people may find the smell of black seed oil a bit weird, but I really like it. This oil absorbs quickly into my skin, leaving no greasy residue which I love. Sunday Riley oils all tend to be very well made and I've enjoyed using this product. I have polycystic ovaries and suffer from acne in particular on my chin, nose and forehead. I also have quite dehydrated skin which can be dry in places. Nothing has worked until I found this oil. It has cleared my skin, balanced it out, calmed my redness and made it look healthy and plump. I put it on under my moisturiser and make up everyday and I don't get shiny or suffer blocked pores / breakouts. It is worth every single penny. The smell is strong but when your skin feels this good who cares. This product is amazing!!! Definitely worth the buy. Saved my blackhead acne-prone dry skin! This oil does have a very strong smell, but you get used to it. For how much this has improved my texture and blocked pores it's so worth it. I have dry skin but I'm acne and blackhead prone specifically around my lower cheek area. This helped to get rid of any spots I've head, and has helped clear the redness/congestion in the area as well. I still have some blackheads but nothing much at all really. It's also helping with the acne scarring I've got so my skin is much clear after using it. I've had it for about a month, stopped using it for around 5 days and noticed my problem skin coming back so this is definitely my go-to to keep my skin looking clear and bright. Because it's an acid it makes my skin baby soft in the morning too. I use it around 5 times a week at night. I first bought this product a year ago after much research and deliberation - it's pretty darn pricey and I was cautious of using an oil on my acne. It comes with instructions on the back of the box to introduce to your skin slowly - first every four days for a few weeks, then three and then two. Personally, I believe that's why many people in the reviews here had such awful breakouts after trying it - you can't simply start slapping it on every night and the packaging does warn you of this. The first thing you'll likely notice is the smell. It smells sort of peppery, and not very pleasant if I'm honest, but I'm well used to it now. It has a very oily feel and can take a while to absorb, which is why I tend to use it at night. It can be used under moisturiser on particularly bad days without looking greasy though. I decided to keep using it every other night so as not to overwhelm my skin, and it's been one of the best skin purchases I've ever made. It totally cleared up what was left of my hormonal acne and I repurchased it last summer - one of the small bottles lasts me around 6 months. I am holding off repurchasing for a while to see how my skin handles without it, but I figured I'd leave a comment for anyone wondering what the long-term effects were. I have a very acne prone, blemished combination skin. This stuff has nothing more than saved my skin. It has cleared up my skin so much! And the best part is that it doesn't emphasize the oily parts of my face and it gives just the right amount of moisture to the dry parts of my face. It sinks in very quickly and doesn't leave a greasy residue. Absolute holy grail product! The first time I took it into my hands I prayed for this oil to work for me. I use it for a week and already felt a small difference in my skin. When I wake up, I see my face brighter and smoother!! The smell is a little annoying but I really don’t care! It worth the hype and the money! This is the worst product I’ve ever tried - this led to the worst acne I’ve ever had. Both sides of my cheeks were covered in huge spots and I didn’t want to leave the house. A week after I stopped using it, my skin went back to normal. Too scared to ever try anything from Sunday Riley again. Boy oh boy was I hoping that this product is gonna work when I bought this. When you spend 68 pounds on a 35ml bottle of facial oil you want it to transform your skin into a flawless canvass. And after using this product for a month I can say my prayers have been answered. I was using U.F.O in conjunction with the ordinary's lactic acid 10% and now my skin that not so long ago was dull, full of acne discolourations and texture transformed into a glowy, clean, clear and smooth canvas. My skin looks so good I stopped wearing foundation! I have been struggling with minor acne here and there and a moderate amount of acne scarring. I was not expecting wonders for the scarring, since the product does not promise it. But you can get away with scarring if you have visually a well maintained polished skin. Frankly, I do not see this happening with my skin, nothing pore-wise, fine lines-wise. I do not notice any build up effect with time, I have been using it for over a month now. The pimples do go away relatively quickly, but no overnight magic. I did give a 4 star to this product in this review though, since with all the hype and rave going around this oil one starts thinking maybe it is something wrong with my particular skin. I am awaiting Good Genes from the same brand to be delivered soon, and let's see how they work together. I really wish my scarring fades. 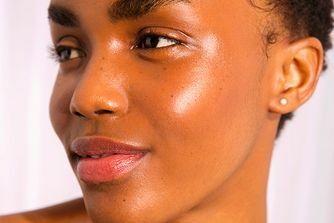 The oil makes you purge and break out the first couple of days, but after that it clears up your skin and fades scarring and prevents future breakouts, however it makes your face look extremely oily. It is recommended to apply a thin layer, just one swipe over your skins surface. You also have to apply it a couple of hours before bedtime to let it sink into your skin; to prevent green stains on your pillow case. It is a very expensive product but I believe it's worth the buck, it has definitely boosted my confidence and self esteem. I'm using this in conjunction with Luna, my face seems clearer than ever, plumper and no more spots. I have oily skin and it's a lot more balanced using oils (who would've known). I was originally going to purchase Luna but something drew me to UFO. I have sensitive oily skin, which can get very pretty and clear when treated right. Even though salicylic acid tends to irritate my skin, this oil doesn't. It does smell a bit strange, but you get used to it. I mix it into my night serum and in the morning my pores are so clear and my skin is glowing. This really helps preserve the results of a good facial. However, I am not sure how much this can help skin that is very congested and texturized. I really do not have a lot of acne, a hormonal break out here and there. But sometimes my pores are clogged. With this stuff I had the most horrible break out EVER. I never looked that awful. So instead of making my skin even smoother it left me with a pimple face. I now stay away from this stuff like the devil from holy water. Really good clearing oil! It’s not drying like if you’re using the 2% salicylic acid by the ordinary, but obviously much more expensive. I have closed comedones from hormonal acne that turn into spots once a month and this really helped tackle them - but fair warning, it made them purge first so don’t start using a week before an event, and you do not need more than 3-4 drops for your whole face. I really like this product. The smell is quite strong, but I don’t mind it. It works well. Didn’t like it as much as I hoped. I get two or three breakouts each month and I thought UFO will help rid of them, but there was no result whatsoever. This is my SOS one-step treatment when my skin breakout. Apply directly first step on cleansed face or after a basic hydration serum is the way to clear up all acne. With this product, I rarely need to spot treat any acne. It not only target acne, but also provide sufficient hydration for a all-face treatment. It's a dry oil, so no worries on stickiness. I didn't realise how great UFO was for my skin until I ran out of my first bottle - I quickly bought a second bottle and now won't do without it. It really works! Works in keeping my acne at bay. Salicylic acid and oils well purify my leather from pimples. I love it. Purchased this as I saw a good review from a blogger on Instagram...Was getting a lot of spots (still getting spots in my early 30s!) and was looking for something that would really work. Literally all the spots I had became dry over night & I’ve been getting compliments that my forehead looks ‘tight and smooth’! So even working on my fine lines. Will buy again..
Bought this to help treat my hormonal/pcos acne on my chin & jaw area and I didn't notice much of a difference to occurrence of new spots, inflammation or to scarring, despite regular use over a few months. It also dried out my skin a little. This is the only Sunday Riley product I've ever been disappointed in. But giving it three stars still as perhaps it would work better for different acne issues. I got the oil around 5 days ago and at the moment I haven't seen anything amazing happen to my skin. A few of my blackheads have gone but non of my scaring from spots have gone I will keep on using it and pray my scars fade. I was expecting more from it seen as though there is amazing reviews. I really feel like this expensive oil has done nothing for me and I normally worship Sunday Riley. Artemis I will buy on any day, but UFO has been utterly disappointing. Never again. I purchased this oil after trying Luna as it's more targeted to my skin concerns. I don't like the smell as much, but prefer the consistency. It's not as heavy as Luna and absorbs well into the skin. This oil single handedly cleared up a severe case of acne and clogged pores for me without further drying out my already dry and dehydrated skin!! Additionally, my skin is hypersensitive but UFO didn't aggravate my skin even once! I'm going to permanently keep a bottle in my stash to always be ready to combat any acne flareups!